The Trees Trail Challenge will be held at Franke Park adjacent to the Fort Wayne Children's Zoo (above). 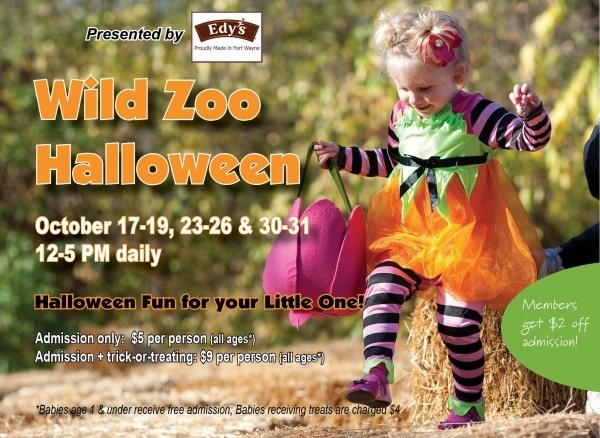 While not the day of the event, the Zoo will be open for the Wild Zoo Halloween from October 16-31 from Noon-5 PM. This event requires Zoo admission and features lots of decorated and carved pumpkins, two mazes, Broomhilda the witch, the Monster Mash Dance Party, live animal shows, and more, plus kids get treats and their own mini-pumpkin from the Pumpkin Patch.